The fourth video in the series finds us travelling towards Amarillo to visit Cadillac Ranch, arguably the most famous attraction on Route 66. 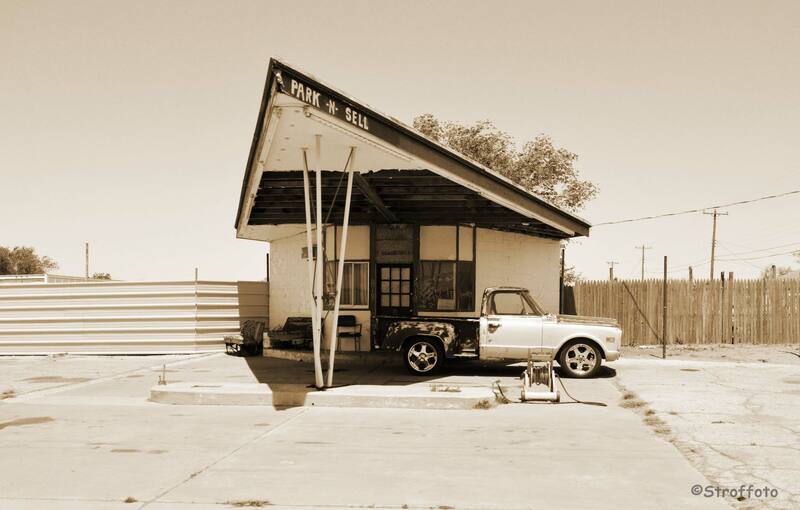 Day 8 – TUCUMCARI TONIGHT! This morning, we were too low on gas to run the generator so we headed out to find the nearest gas station. We had to backtrack about 12 miles and luckily found the Alanreed Travel Center. This is a popular spot on 66 that offers many amenities to the road traveler, including a mini post office as well as humorous homemade postcards. We selected a few of these while listening to some Western Swing and dropped them in the mailbox. Groom Texas is home to the Leaning Water Tower, which appears to be leaning due to a short leg but is actually supported by a water pipe that is longer than the other four proportionate appendages. 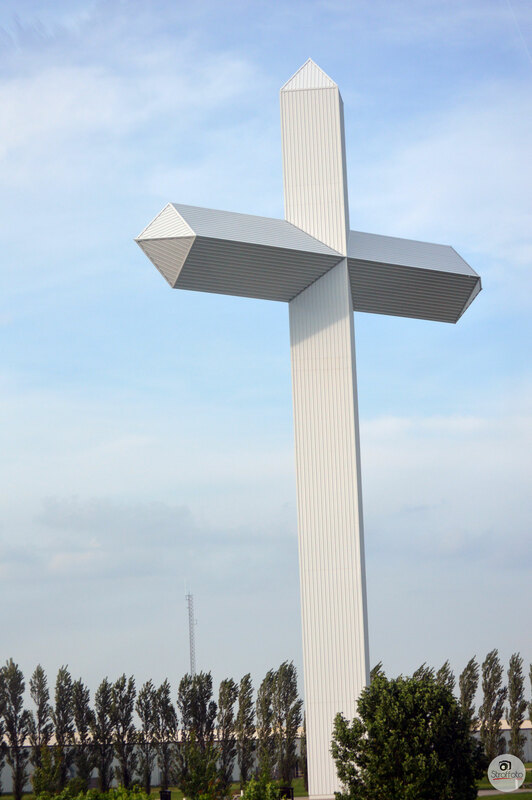 Groom is also the home to a few cool old abandoned properties and the largest cross in the western hemisphere, standing at 190 feet tall. The most popular and probably the largest attraction in Amarillo is the Cadillac Ranch. Cadillac Ranch is a spot off in a field that has about 8 or so Cadillac’s buried in the ground front end first. When visiting the ranch, it’s a tradition to spray paint something on the cars. We spent almost an hours making our mark and taking pics. We are sure that everything we put on them today will be gone in a couple days but it was tons of fun! We were attempting to take the old Route 66 from Amarillo but as we moved down the road, we noticed that it changed from pavement to dirt. This dirt on the map appeared to go on for some miles so we decided to use the highway and skip a few small towns between Amarillo and Adrian. The MidPoint Café in Adrian, TX is officially half way between Chicago and Santa Monica so we definitely had to stop in. Took some pictures and I had a nice piece of Peanut Butter Chocolate cream “dirty pie”, for which the café is famous. I am not sure why they call them dirty pies but it tasted yummy and I even let Jasmine smell it (in case you don’t know, she’s vegan). The Midpoint Café is yet another real-life inspiration for the Cars movie. Crossing into the Mountain Time zone and the state of New Mexico simultaneously, we decided to pop into the Glenrio Welcome Center in San Jon, NM. 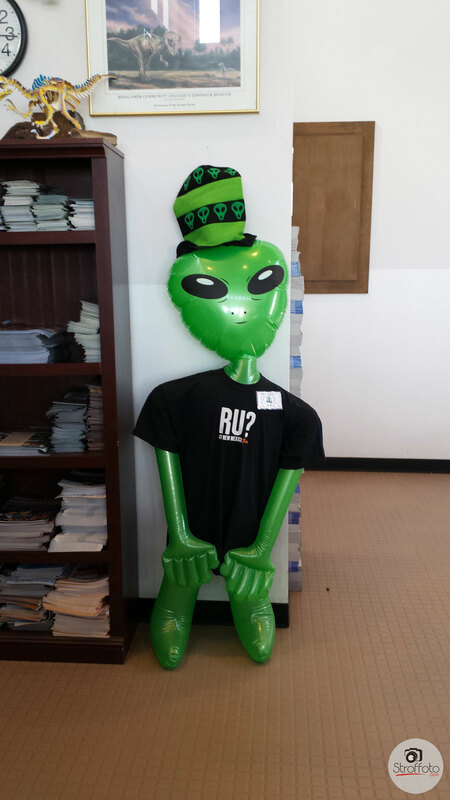 We picked up some cool maps and even saw an alien!! 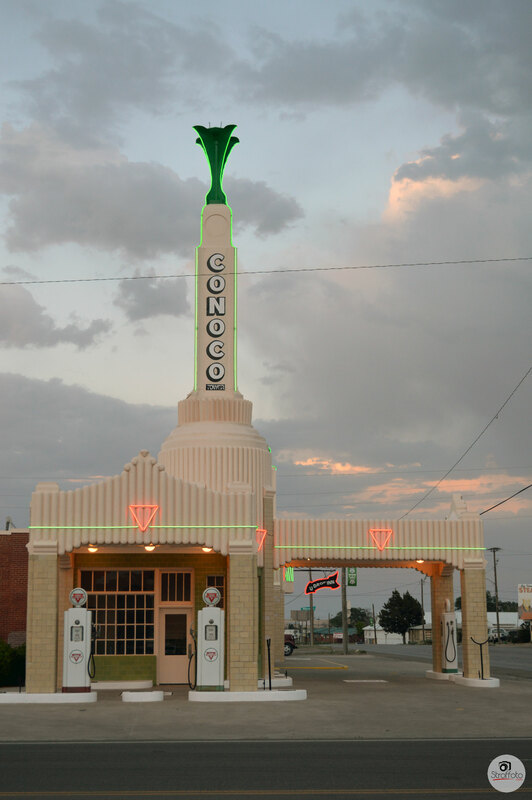 Our first and last stop in New Mexico for the day was Tucumcari. There was a ton of good looking old time motel signs and photo opportunities. 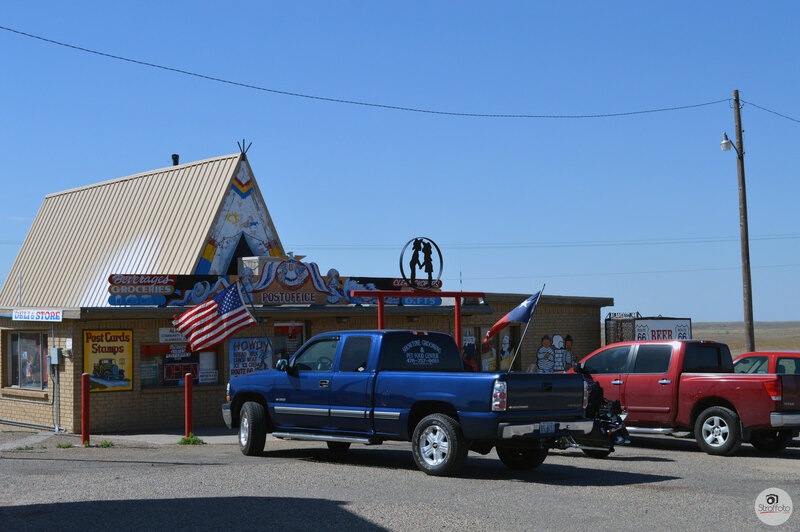 We visited the famous Blue Swallow Motel and the Tee Pee Curios shop to have a look around and pick up a couple gifts. 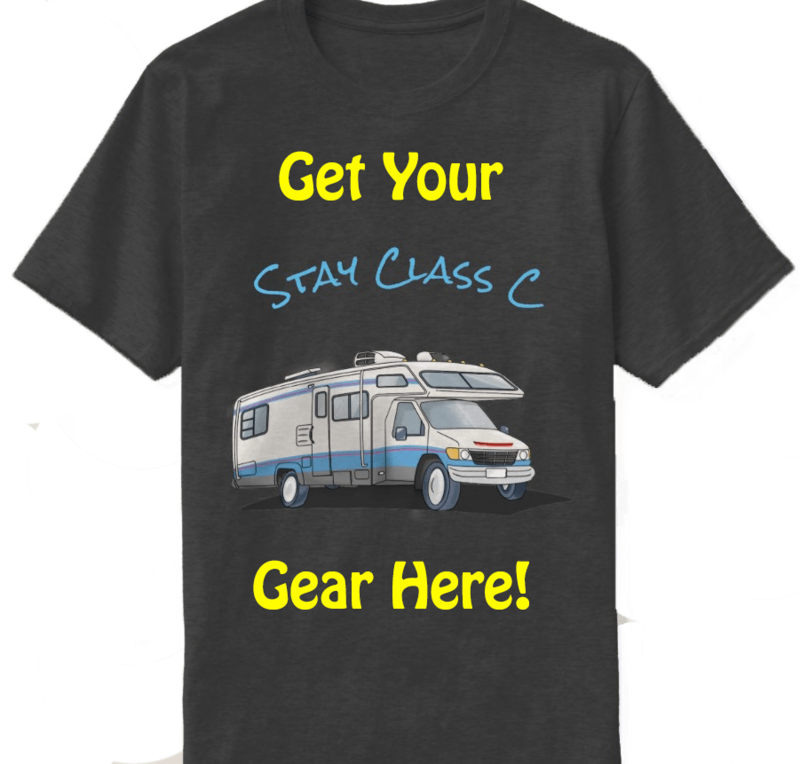 Our decision to stay the night in Tucumcari was an easy one to make but deciding on which RV Park was a tougher choice. There seems to be a serious rivalry between two of the RV parks we were looking at and we definitely got a chuckle out of reading their literature. We decided on the Kiva RV Park and we are happy with our choice. It was pretty cheap at only $20 with full hookups. We are currently enjoying a little downtime after cleaning house a bit and doing some laundry. Tomorrow we plan to get through as much of New Mexico as possible to hit Arizona so don’t forget to like us on Facebook and subscribe to the Blog for email updates.